The perfect outfit for a day out. Made from soft and breathable fabric this t-shirt will keep your little boy in comfort all day long. 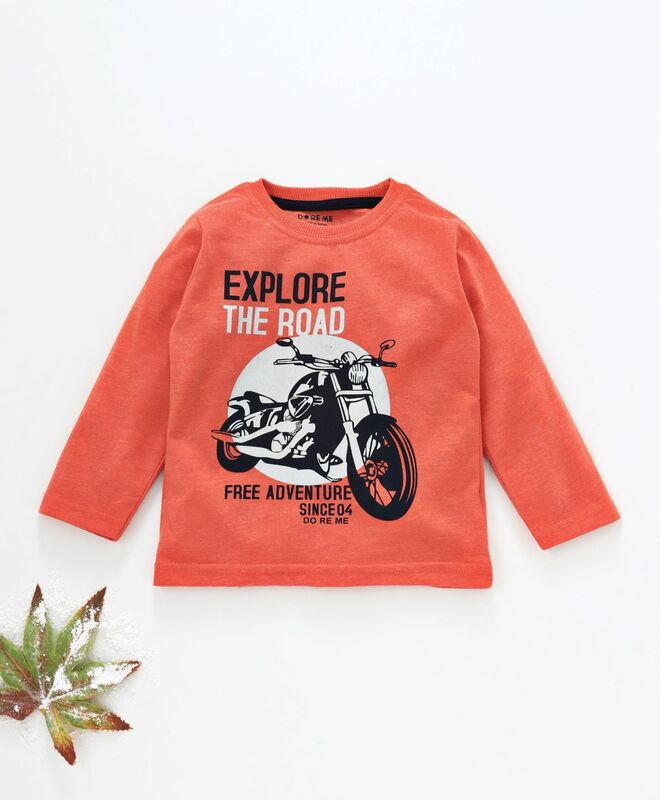 This full sleeves tee with round neck and pullover style is sure to give your child a trendy look.